Associate pastors at Fiordland New Life Church and the founding Directors of Revival School Aotearoa New Zealand. 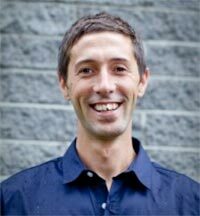 In 2002, when Benji was 18, God called him to give his life for national revival in Aotearoa, New Zealand. Convinced that God had spoken to him, and convinced that national revival was a certain promise from God, Benji embraced the call to invest his life in national revival. Benji is ablaze with a passion to reveal the unconditional love and delight of our Father in Heaven, and to raise up catalysts and stewards of revival who walk in the fullness of the intimacy, identity and destiny found in Jesus. Benji and Alanna have a massive value of building family. Revival School is characterised by a deep sense of family, but it all starts in their home, where Alanna has embraced one of the highest callings on the planet – to be a full time Mum to their young children Ezra and Zoe. They both love cross cultural ministry and reaching the unreached with the good news of Jesus, and between them they have been on, and led, teams to Fiji, India, Thailand, South Korea, Burma, Vietnam, China, Mozambique and Tanzania. Both in New Zealand and in the nations they have been privileged to see the love of the Father revealed, and lives transformed by the love and power of the Holy Spirit that continues to flow in their lives and ministry. Rob and Lyn carry a catalytic prophetic anointing that brings release and shifts in the Spirit over churches and regions. They are widely respected as prophetic ministers for their ability to hear and declare what God is doing, both on a national and international level. As a couple Rob and Lyn have the ability to minister in a variety of ways. The different facets of their ministry - the prophetic, teaching, worship, music, dance, art, poetry, storytelling, healing, and restoration – are a powerful combination of giftings that enable them to minister with sensitivity and passion in any situation. 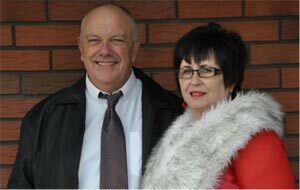 Rob & Lyn have been involved in Christian ministry for over 30 years. They are both accredited Pastors (NZ accreditation) and minister under the apostolic covering of XP Ministries, Arizona, USA. as the New Zealand team leaders for XP Ministries NZ. XP as a ministry equips the body of Christ to walk in the supernatural power of God through schools, conferences, prophetic evangelism training and outreach. 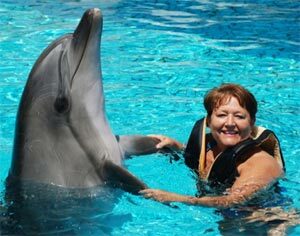 The international headquarters for XP Ministries is based in Phoenix, Arizona, USA and run by Patricia King. 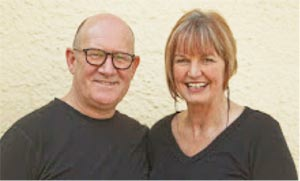 John and Fiona have been the Senior Pastors of Fiordland New Life Church since 2001. Their vision is to raise up an apostolic company of people to be catalysts and stewards of revival in New Zealand and in the nations. New Zealand crayfish every year. Fiona loves creative ministry especially excelling in creative writing, she often accompanies John on missions to India. Seth is the Senior Pastor of Hope Centre where weekly revival meetings have been held since God started a special outpouring of his Holy Spirit in 1995. There have been many extended times of outpouring meetings since as a revival culture continues within the local church. Seth travels nationally and internationally. He is a sought after speaker, ministering to camps, pastors conferences, revival summits, as well as churches cross denominationally. He is able to communicate to all generational groups, and he ministers especially on stewarding revival, faith, joy and the Holy Spirit. have occured in India, Sri Lanka, Philippines, Germany, Canada, Australia, Scotland, England and America, as well as in New Zealand. In many of these the scheduled length of the conference or meetings have had to be extended. Peers have described Seth as a pastor to pastors and leader to leaders. He has the ability to reach people through his compassion, love and sense of humour. Seth is powerfully anointed and moves with the fire of God, and God uses him to shift atmospheres. Many lives have been healed, transformed and set free through his ministry. Seth has been married to Debbie for over 34 years and their family is also involved in serving the Lord. Steve Dunne lives and carries a powerful message of the Father's Heart. Born into the Irish mafia Steve lived a wild life with wild hair, but nothing ever impacted him so powerfully as when he encountered Jesus! Steve's heart is ablaze with passion and he preaches like a revivalist of old. His message is infused with the love and fire of God. Cutting to the heart, bringing conviction and freedom from modern sins and vices. 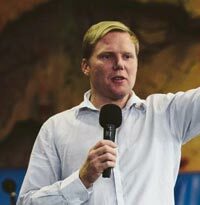 He is a powerful voice for the aborted children in Aotearoa; a missionary and prophetic voice to New Zealand, who spent a considerable amount of time in the Brownsville revival. 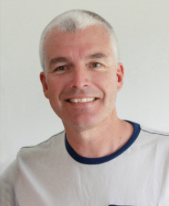 Steve is also the director of Fire School, based in Richmond, Nelson. Pastors Ian & Dayle are pastors and communicators who travel throughout New Zealand, Australia, and Asia.. and have also ministered in the United Kingdom and Canada. They have been leading the Invercargill Christian Centre, in Invercargill, NZ for 20 years and have three adult sons. They both minister in the prophetic and move in the power of the Holy Spirit in word of knowledge, seeing healing, wholeness, salvations and the impartaion of Holy Spirit power and presence. Their warm and engaging style of ministry is powerful and enthusiastic with a disarming humour that provides an openness to minister to young and old alike. Dayle is also a trained Sozo minister and leads a team in the Southland area that are bringing freedom, restoration and wholeness to the body of Christ like never before! Andy and his wife Diana have been married since 2005 and – as well as Andy being the Associate director of Kingdom Life School – are the senior leaders of Bethel Church in Whangarei, New Zealand. Before the turning point in Andy's life he had only been confronted with arguments for Christ. When he first experienced the presence and supernatural demonstration of God it brought a change of heart that no argument had been able to generate. As a consequence, due to the impact of this on his own life, he has set his heart after the tangible presence and demonstration of the power of God to reveal the love of God towards all of humanity. Through various prophetic experiences and encounters Andy and Diana have come to know that the main thing is to pursue deep connection in relationship with God. Even revival and supernatural power must not be a distraction from the ever deepening experience of "knowing Christ Jesus" (Phil 3:8). Matt met God and was baptized in the Holy Spirit in 2001 in his car outside a friend's house. Since then his life has been surrounded by radical encounters with God and a burning desire for others to know the same reality and closeness of God. As well as being (with his wife Renee) the senior associate leader at Bethel Church NZ, and Director of Kingdom Life School he travels around NZ and abroad teaching, preaching and releasing the Kingdom of God in churches, conferences, schools, and communities with miracles, signs and wonders, and equipping the people of God to live naturally supernatural, following the example laid out by Jesus. Matt is a pioneer whose life is marked by an intimate relationship with God, an all consuming love for His Presence, the miraculous, and a call to shift cultures and mindsets until they reflect Heaven's culture and mindset. In 1991 Norm and Jess and their family moved from Oamaru to plant a Church in Gisborne a city of 30,000. They immediately experienced revival and signs and wonders which saw the Church grow with new converts from a morning attendance of 31 to 500 within 4 years. Today the Church is making a powerful spiritual, social, cultural and economic kingdom impact in their city. Since then, House of Breakthrough has sent out dozens of healing ministries and cultural ministries throughout the nation and the world, as well as planted Churches in NZ and India. Pastor Norm came from a radical background of motorcycles, drugs alcohol and violence and martial arts. When he encountered Christ his radical personality carried on over into the Kingdom. He was born again and trained in the power of the supernatural presence of Christ and continually sees Christ perform miracles, signs and wonders that turn people to Christ in their thousands on the local, national and international fields of service. He is gifted to help awaken empower and deploy Gods people to minister in the character and supernatural power of God. Kristen Williams is the senior leader of Tauranga Hope Centre. For decades Kristen has been a catalyst and steward of revival in our nation and beyond. Kristen loves to host the Presence of the Holy Spirit and see the raw power of God unleashed to transform lives and set hearts ablaze with love for Jesus. He is a prophetic voice and an uncompromising leader who has been part of numerous outpourings of the Holy Spirit and passionately believes the best is yet to come. John Watson was dramatically saved through powerful encounters with Jesus Christ. God sovereignly delivered him from religious demons and set him ablaze with His Holy Spirit. John is a prophet with a powerful deliverance ministry. He regularly ministers around the globe in Europe, India, Africa, the Pacific Islands and New Zealand. John and his wife Sheila have been New Life pastors in the deep south for years and are currently planning to plant a new church in Dunedin. John Watson will stir your spirit to reach out and possess the fullness of the inheritance that Jesus Christ purchased for you on the Cross. Nancy Coen is a forerunner and gift to the body of Christ. She lives and ministers in the power of the Spirit like one of the mystics of old. Nancy demonstrates that the Kingdom of Heaven is the real world. God has called her to unveil the Age of the Kingdom of Heaven. Her ministry brings powerful paradigm shifts and is catalytic in releasing the sons and daughters of God into a destiny far more wonderful than most of us have imagined possible. Nancy regularly ministers to Kings, presidents, governments, the homeless and outcasts around the globe. God often leads her to the darkest places on the face of the earth to unleash powerful demonstrations of the reality of the Kingdom of Heaven and the love of God. Signs, wonders, miracles, resurrections, creative miracles, mass salvations and Kingdom Reformation have become a normal way of life for this loving Grandma from Texas. She has ministered in every Muslim nation on the planet apart from two that banned her before she got there. She models a life of incredible intimacy with God and is declaring the rise of an Enoch Generation that walks face to face with God in the heavens and brings Kingdom Reformation on the earth. Do everything within your power to receive from her ministry!! !